You know those movies where you see a plane on the screen go across the ocean and back again? Well, that's me in my February reading. I traveled back and forth "across the pond." I began in the US, specifically Laurie Colwin's New York City. From there I headed over to England (I just can't stay away!) to Enola Holmes' Victorian London with Nancy Springer. Then back to the US, this time in the Charleston, South Carolina of Karen White. 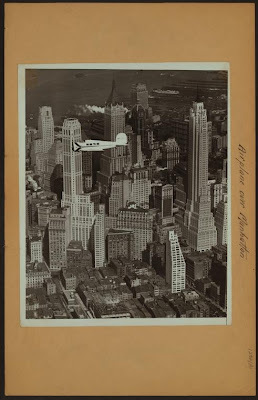 I then came up north a bit and returned to Laurie Colwin's NYC. And then back again I traveled to Miss Read's Cotswold village of Fairacre. The time span was fifty years from 1958-2008. The Saturday Sally this week is a nice little journey from New England to Mississippi to Wales. 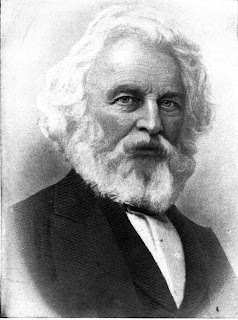 Another wonderful poem by Henry Wadsworth Longfellow here. And here is a review of a book I loved and wrote about. For inspiration, encouragement, bravery, faith, and hope, you'll want to visit here. The "storm" in the title is the rumor that a farm in nearby Beech Green is going to be turned into a housing estate for new workers coming to the atomic plant. The United Kingdom Atomic Energy Authority may take the 100+ acres by what we call "eminent domain," though there will be meetings so various groups may have the opportunity to express their opinions. As always, Miss Read shows the reader both sides of the problem. It would be horrible to turn a lovely field and view into houses; yet there would be more people attending the school, whose population is diminishing from families leaving for larger towns and employment possibilities. But then there is talk that the village school would be closed, and a new big school built right on the land. And not only that, but the housing estate might have its own church and shops. So where does that leave this little village of Fairacre? Sounds so familiar doesn't it. 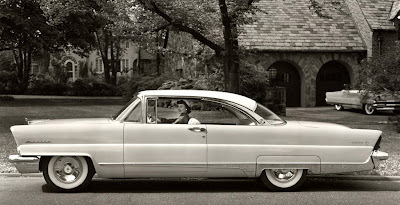 The 1950s is about when all these changes began happening in rural landscapes from England to New England. And then there is a mini storm involving the teacher of the younger children. She is infatuated with an older widower, whom many in the village call a ne'er-do-well. Though she is in her twenties, she hasn't had any experiences with men, and there is a lot of worrying gossip about her situation. By the end of the book, the air is clear and bright again, of course, and the reader has learned more about Fairacre and its inhabitants. There are two passages I really enjoyed which show how our moods, the weather, or the events of a day may color our view of the world around us. At the start of her school holidays, Miss Read strolls around Fairacre seeing sights she usually misses when she is "cooped up in a dark school." She rhapsodizes about a plant in a window and a woman in her garden, as she smells the wonderful aromas of coffee grinding and bread baking. Nothing can beat a village, I thought, for living in! A small village, a remote village, a village basking, as smug and snug as a cat, in morning sunlight! I continued my lover's progress, besotted with my village's charms. Just look at that weeping willow, plumed like a fountain, that lime tree murmurous with bees, that scarlet pimpernel blazing in a dusty verge, the curve of that hooded porch, the jasmine - in fact, look at every petal, twig, brick, beam, thatch, wall, pond, man, woman and child that make up this enchanting place! My blessing showered upon it all. It was the first day of the holidays! And then just a few days later, "after clouds gathered with alarming speed:"
This was the halcyon village I had mooned over so sentimentally early in the holidays, I thought grimly. Where now was the tranquil sunshine, the serenity, the innocent-hearted populace going about its honest business? I thought of the misplaced passion of Hilary Jackson, the cupidity of John Franklyn, the evil gossiping of neighbours, the sad injustice of Miss Clare's ill-health, the misery of the Coggs family at the mercy of their drunken father under the broken dripping thatch of Tylers' Row, of the chained unhappy dogs in back gardens, bedraggled hens cooped all too closely in bare rank runs, and, over all, the tension engendered by the housing scheme and the ugly passions it aroused. Sick at heart, with the noise of the storm still raging round me, I sought in vain for the comfort of sleep. Wise words, in a book full of wisdom and kindness and truth. This is the last of the Fairacre books on my shelf so it'll be next year before I'll be going back to visit. But I will certainly do so. I love this place, as I do Thrush Green, Miss Read's other village series. I own the first two, Thrush Green and Winter in Thrush Green, and I'll probably venture there before this year is out. To see who else is strolling this Sunday, please visit The Quiet Country House. There's just nothing that will brighten up an end-of-February day (on which a foot of snow is predicted!) more than ordering the plants and seeds for next summer's garden. I stayed in New England again, as I did last year. We were so very happy with our shallots that we got the same ones again this year from John Scheeper's Kitchen Garden Seeds in Connecticut. Spring-Shipped French Red Shallots A good variety for novice shallot-growers, our French Red Shallots are amazingly productive; are easy to peel and dice and have an intense, spicy flavor. In the summer, when the top greens start to die back, they will yield shallots the size of chestnuts with coppery russet skins and purple pink flesh. Plus, they store very well, in fact, they can last up to a year when stored properly in a cool, dry spot (between 50 to 60 F). One pound of sets shipped to you in the early spring! I only recently finished up last year's crop. I used them instead of onions in many recipes after my onions were all gone. Between scallions, onions, and shallots, I didn't have to buy anything from the allium family for many months. Because we had such success with the leek and onion plants, I am getting them again from Johnny's in Maine. King Richard Plants (Allium porrum) Remarkable earliness and length. Beautiful full-sized leeks. In favorable soil and culture, the white stems are over a foot long to the first leaf. Upright, medium green leaves. While not hardy enough for overwintering, it will withstand medium-heavy frost (32° to 20°F/0° to -7°C) without losing its healthy appearance. Popular since first introduced in 1978. We lost this great variety when our supplier dropped it. Now we have seeds from our own production. Avg. 50 plants/bunch. Super Star Plants (F1) (Allium cepa) Big, mild white onions - 2001 All-America Selections winner! Widely adapted, day-neutral variety, Super Star matures well anywhere in North America from spring sowing. Suitable for fall planting where short-day onions are normally grown. Produces uniform, large, white-skinned onions with mild flavor and thick rings. Great for salads, slices, onion rings and frying. Not for long storage. Pink root tolerant. (Unit) 60-75 plants per bunch. It would be cheaper to just start seeds under our lights, but because we grow so many plants, that would take up a lot of room. Instead, we'll be using that space for starting Peacevine tomatoes, lettuce, lavatera, sweet peas, basil, parsley, and zucchini. From High Mowing Seeds in Vermont, I ordered: Peacevine tomatoes, Bloomsdale Longstanding spinach, Green Arrow peas, Genovese basil, and Old Spice sweet peas. From Johnny's, along with the onion and leek plants, I ordered Music garlic, which we plant in the fall and have had great success with for a few years now. I ask myself why we didn't begin growing garlic a long time ago. Music (OG) (Allium sativum) New last year! Rich, sweet, pungent flavor. Hardy and vigorous. Bulbs have tight, white wrappers with some pink shading. 6-8 cloves per bulb. A consistent producer year after year. Stores well after harvest. Organically grown. I got a packet of one of Johnny's specials, Zephyr zucchini seeds, my favorite and the most successful of all we've grown over the years. And from John Scheeper's Seeds: Sweet Slice cucumber, Ruby Regis lavatera, sweet peas, and cosmos, along with the shallot sets. I happen to have a lot of leftover seeds from last year, so I didn't need to buy corn, yellow beans, parsley, sweet peppers, or lettuce. June 29, 2008 - so green!! Happy All The Time could be a primer on love. Each character and each relationship is unique and filled with love. Real love. There are two main couples: Holly and Guido, and Misty and Vincent. The men are not only distant relatives, but also long-time friends. So, along with reading about romantic love, we read about the love between friends. And then there are the family members who show up and give us a glimpse of the love in their lives. It is an extraordinary book, the likes of which I have never read before. The people are all interesting and we feel warmly toward them. No villains. No violence. Just a few people going about their lives in 1970s New York City, looking for love but not "in all the wrong places." Love blossoms at work, while walking outside, while visiting relations. I don't work. I'm lazy. I don't do anything very important. I don't even know how intelligent I am. I just live day to day enjoying myself. We're all together. We're family and we're friends. I think that's the best thing in the world. And isn't that the truth. We so need to remember this every moment of our days. If we need a reminder of the sweetness life can bring, Happy All The Time can provide it for us. For another wonderful review, please visit Owls Feathers. Wait a second - we're not going to Guam, are we? Lexi, our daughter and her boyfriend's new dog! 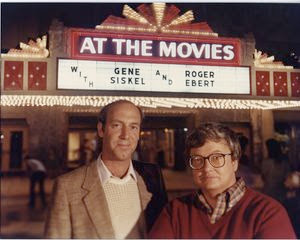 If you, too, remember Siskel & Ebert offering movie reviews, please go visit Roger Ebert's blog entry. It brings tears to my eyes. No man is an island, entire of itself; every man is a piece of the continent, a part of the main. If a clod be washed away by the sea, Europe is the less, as well as if a promontory were, as well as if a manor of thy friend's or of thine own were. Any man's death diminishes me because I am involved in mankind, and therefore never send to know for whom the bell tolls; it tolls for thee. I never met Donna, who kept a blog called The Between-Place, but I read her words and her poems, and I felt I knew her a little. Right up to the end she kept a list of books she was reading. She had been living an amazing life, one which you may read about in this entry from October 2007. If you never happened to make her acquaintance, this will tell you a lot about the kind of woman she was. I found her so admirable and strong and brave, all characteristics which did not leave her as she faced her illness and coming death. I feel so badly for her family and friends for the loss of this good, good woman. There is an online obituary here. Raya and Soot at the cat chow bowl (which says, 'chat' - French for cat). "I see dead people" is the famous line from The Sixth Sense, a movie which both fascinated and frightened me in pretty much equal parts. The difference between the movie and this book is the dead in the movie don't know they are dead, while those in the book do know. They come to visit and talk with Melanie Middleton seeking her help. Some of them need her to tell something to a loved one; some of them give her advice; some are waiting around for her to solve a problem that occurred while they were still alive. When we first meet her, she has come to 55 Tradd Street hoping to get the listing on one of Charleston, South Carolina's desirable historical houses. Before she even goes inside, she sees a woman in 'an old-fashioned dress' pushing a swing. Her meeting with the owner of the house is going to completely change her life, but she doesn't know this. She can see the dead but she cannot see the future. I really enjoyed this book, and I'd walk from room to room holding it in front of my nose during the day, and staying up reading very late at night because I couldn't put it down. When I wasn't reading, I was thinking about it. I loved the setting. I've read both fiction and non-fiction books set in Charleston, and it really does sound amazingly beautiful and very steeped in history. It is a perfect setting for a character who can't enter antique stores because she sees people, long-dead, living among their furniture. And Melanie is not the only one. Throughout the book, other people tell her about the phenomena they themselves are experiencing. She is able to reassure a little boy so he doesn't feel as crazy as she did at his age. I was intrigued with the whole idea of communicating with the dead. We learn that not only does she see them, but the air changes temperature, and the smells around her change according to whether the 'ghost' is benevolent or malevolent. I liked the mystery element to the book which begins two days after Melanie visits the house on Tradd Street. The man dies, and leaves her the house. She can't sell it for a year. She must live in it for that time, and she must restore it using the money which he has also bequeathed to this amazed, and unhappy realtor. She hates old houses. Her own condo is white-walled and filled with new possessions. She doesn't want any visits from former occupants. My only complaints about the book were with the main character herself. She makes some really stupid decisions, based on unsound reasoning. I don't like it when fictional women put themselves in unnecessary danger. My other complaint is purely personal. I'm not much for romance fiction where there's often an underlying misunderstanding and conflict between the male and female main characters. I know we are supposed to view it as the fallout from her past abandonment, but sometimes the character was just too much for me to take. Small potatoes, really. I will eagerly read the next one in the series. I first heard of this book in November from Wendy. I called my local bookstore and ordered it for my daughter for Christmas, thinking I might want to read it myself sometime. She loved the book, as did her mother. If all the cars in a country were pink, what would you call that country? Today's Saturday Sally has a Valentine's Day theme. Here are some very special cards from 1917; here, a great rendition of Love Hurts sung by Heart; and be sure your volume is turned up for a musical surprise here. From my father to my mother. They had known one another for eleven months and weren't married yet. On the inside he wrote, "Your's Bill" which goes to show that even 68 years ago no one knew where to put those tricky little apostrophes! Is it fair to offer a book report on an unfinished book? I suppose so, as I am not labeling it as such. A book I began in great expectation and with great joy has slowly, but very surely turned into a reading drudgery. I can't stand it anymore. I cry 'uncle!' And then I cry 'hooray I'm done!' I've written many times that I don't stay with a book I don't like; that life and especially one's reading life is too short for anything but books I love. So why did I persevere? Because there is so much good in this book. J.B. Priestley undertook to travel around England in the autumn of 1933, and thank goodness he did. He captured a time and place between the two wars. This is not an impassive look at the people and places, but an opinionated, philosophical, quite personal view. He presents the facts, and then goes on to offer his own thoughts on the subject. The reader may agree or not. I so wish he had included a map in the front of the book. I suppose most people reading it in the 1930s knew where all the places were, but I don't, living in the next century and in another country. If I ruled the world, or at least the educational world in England, this book would be required reading in the upper grades of every high school - public and private. Or at the very least, teenagers would read about their own area to see what life was like in Birmingham, Leicester, Southampton in those years. This is the history of their town, and not a dry, boring history, but the town come alive with its people, workplaces, and entertainments. There could be terrific discussions in the classrooms about how things have changed or not changed, and how life is better or worse or a little of both. And I still believe it. I think if one is reading a history of the country or of a certain area, English Journey would be a welcome companion to a book full of facts. Priestley makes the people and places real. I had planned to read Beryl Bainbridge's English Journey, an account of the same trip fifty years later, but I honestly can't face it. I'm done with traveling for a while. I was thrilled this morning to come upon a video of Pierre Barouh and Stacey Kent singing Samba Saravah together. You may remember the latest Stacey Kent cd I wrote about in which I mentioned how happy I was that she did this song, made famous in the movie, A Man and A Woman. In case you don't want to bother going back to the review, I said that I'm a sucker for French songs and singers, and that it doesn't matter much if I know the words. I get the feeling of a song and that is what's important to me. I love French and really believe it is the language of love and romance. Take the word, perhaps. Is anything more mundane sounding? But peut-etre - ah, that sounds like something! Not boring old perhaps, but a word full of possibility. I know, I'm a hopeless romantic. and now we have Pierre Barouh all these years later, and still very handsome I might add, singing with Stacey Kent. You can see how absolutely thrilled she is to be singing this wonderful song with the man who brought it to our attention all those years ago. "Your father is a woodsman and hard to fool, but let's see what someone from the city says when we tell him rabbits have eaten our treetops." When Grandma came to visit in the spring, the children took her straight to the birch trees, and Alan asked, "What ate those treetops?" Grandma said, "squirrels of course." "Fooled you! Fooled you!" both children shouted. "It was rabbits and we watched them." This got me thinking about all the knowledge we absorb as we are growing up. I have a friend who lives in the city now, but she grew up in the country and knows all the flowers and trees. I, who grew up in town - even though a rural town, never learned any of these things until I moved to the country, and I've had to carry flower and tree identification books along with me for years. I'm getting there. I've learned a lot. But I'll never know all my friend knows. Her country knowledge is part of her; not something she had to try to learn. She absorbed it from walks and talks with her country mother. The Lunar Calendar tells us that this month's full moon is exciting because there is a "penumbral lunar eclipse" which occurred in the early morning hours today (Monday). And nearly 90% of the lunar surface will be "cast in Earth's shadow." In astronomy - the shadow cast by the earth or moon over an area experiencing a partial eclipse. The best adjective to describe these muffins is 'hearty.' Even though they have a fair bit of sugar and butter, the ingredients are very healthy, and the taste is delicious! I found there was more batter than would fit in my 12-cup muffin tin so I put the remainder in an 8x8 pan. Stir egg mixture into apple mixture, and then add flour mixture. To go with the muffins, I tried another stew. 1/2 cup quinoa washed under running water for 5 minutes. Cook about 20 minutes until the little ring appears. Drain. Chop 6 smallish potatoes, and cook in a separate pan until soft but not mushy. Drain and add to quinoa. Then add 1 cup tomato sauce. There's more info about quinoa here. Not everyone (including Tom) likes quinoa, but I love it, and these few ingredients mixed together with a little added salt made a stew that I just love. I was surprised to see that I haven't written a weather journal entry since December 22. It's been a cold few weeks here and quite snowy. Those of us who live where it's cold in the winter know that January sometimes just takes over. The January 16th high was 4ºF and the low was -36ºF. I keep up with moving firewood, taking care of the barn animals, raking snow off our roof and plowing our yard. But January days are short, and mostly I leave for work in the dark and get home in the dark so some things get left undone. One of these is shoveling. Instead of clearing a path, we just walk out our doors and pack the snow into trails. Mostly this works fine, but the last two days have been warm and now that packed snow has turned to ice. So on this warm day (high 45ºF) I got out the chopper blade and went to work. This is the music I listened today as I made the macaroni and cheese. 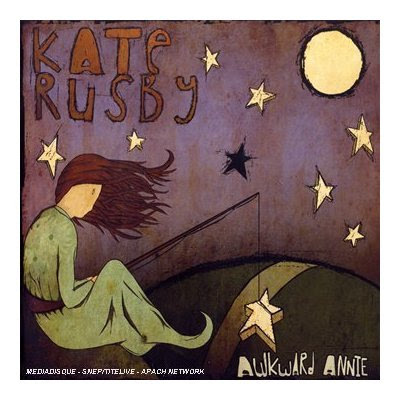 I first heard Kate Rusby on the dvd of Clatterford, singing the theme song, one of Ray Davies' best. I was enchanted. She has an incredibly lovely voice as if she is a visitor from an earlier day. One of the songs on the album is called Streams of Nancy, and somehow my name always sounds nicer in a British song, sung with a British accent (Noncy). She sings a beloved traditional song which I first heard sung by the wonderful, Jean Redpath. It is called Blooming Heather (sometimes called Wild Mountain Thyme), and makes me long for a Scotland I've never even seen. I know this is a long you tube but if you have seven minutes to spare, it will make your day better, I promise. There's an interview at the beginning, and then she does the song. See if you don't find yourself swaying in your computer chair as you sing along to this chorus. You may wonder why I'd even offer this as a recipe. Everyone and her sister makes it. 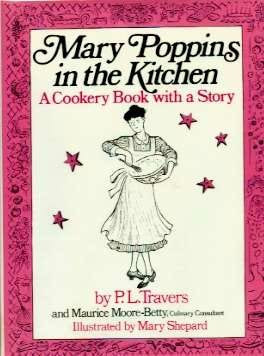 But this is a pretty neat one, having come from a children's book called Mary Poppins in the Kitchen. And who knows better than Mary Poppins?! I also make 'her' scrambled eggs, and her angel cake. As you know by now, I don't like cheese so you'll have to take Tom's word on this one. He thinks it is great, and is bringing it to a teacher get-together this afternoon. Stir in flour to make thick paste. Add milk and whisk vigorously to make a smooth sauce. Cook 2-3 minutes at low temp. till thickened. Stir into macaroni and place in baking dish. Mix 1/2 cup cheese with crumbs. Bake 20-30 minutes until hot and crisp on top. Today I doubled the recipe, and baked it in a greased 9x13 pan. Tom heard her music on the radio and gave me the cd for Christmas, thinking I would like her. He was so right. She has a great voice, the music is catchy, and the words are wonderful. This is Enola Holmes' fourth adventure since she left her childhood home, and it hasn't even been a year yet! What a girl! And what fun these books are. Each one highlights a facet of Victorian London while also telling a good yarn. This book focuses on a young girl we met in the second book, The Case of the Left-Handed Lady. She has been kidnapped and is going to be forced to marry. It is up to Enola and her brother Sherlock to stop it from happening. It was nice to see them working together a bit. They are more alike than perhaps either of them realizes. In this one I learned about the language of fans. "A frenzied fluttering" is a sign of "agitation and distress." Resting it upon one's face means, "yes, I understand." I read of the sad life of street urchins who end up in city orphanages, and as in the other books, the powerlessness of the Victorian woman. The hard part for me in this series is the mother. I understand how she had to get away and live on her own. But couldn't she have taken her young daughter with her? In this book, a girl has a bad father, but at least her mother left him and wants the girl with her. Enola has less contact with her "Mum" than in the past books, and by the end she has trouble bringing "her features to mind." The woman infuriates me. Yes, this girl is very capable, and grows more so in each book, but she doesn't have the love and sense of security that a daughter needs. After a particularly harrowing episode, Enola goes back to her lodgings, and her landlady takes care of her. I love these books. They are full of historical details, wit and humor, and really wonderful characters. I also think they have terrific titles. It's a great, great series. And Nancy Springer can't write them fast enough as far as I am concerned. I wonder if all of us who write about books on our blogs have our special favorite reviews. I know I do, and one of them is on Laurie Colwin's Home Cooking. As I read More Home Cooking, my heart ached that this dear woman was no longer in the world. I kept reading things that made me want to email her, and say, 'yes' I feel the same way. In a chapter called Three Chocolate Cakes, I suddenly saw a recipe called Happy Winter Fudge Cake, from a children's book I've read a thousand times, and which I even wrote about in the early days of my blog. I don't know anyone else who has read this book, and there's Laurie Colwin including a recipe my kids and I baked many a time. This is what I have every night - a glass of hot water and a sponge-cake. If you are like me, you've probably often wondered about the 'sponge' in British books. Laurie Colwin solved this little mystery for me. Recently I became addicted to the kind of classic, basic sponge cake English women of a certain age can make in their sleep. It is generally used as a plain tea cake, spread with raspberry jelly and dusted with powdered sugar. It is absolutely delicious, and, best of all, it has four ingredients. If you want to be snooty you can call it a génoise. I use a 7-inch round tin, but an 8-inch square is fine. Cream 1 stick of sweet butter and 1/2 cup of sugar. Beat in 2 eggs (or 1 yolk and 2 whites). Beat until light and fluffy with either a whisk or an electric beater. Fold in 1 cup of flour to which you have added 1/2 teaspoon baking powder and 1 teaspoon vanilla, if you like. (You can do without the baking powder or the vanilla). Bake in a buttered tin for 20 minutes to half an hour. You can eat this cake plain, with stewed fruit, or with ice cream, but it is best with jam and powdered sugar. For grown ups, bitter marmalade is very nice. Your actual work time is about ten minutes, which produces one of the best cakes you'll ever eat. When you feed them good food, they all say, "Oh, God, this is so great. This is really delicious." And then you say, "This is a cake that took four seconds to make, it was made from scratch by someone who can hardly add two and two. You do not have to go to MIT to make a scratch cake." And they say, " I've never done that. I've just used a mix." And you say, "But if you will just follow these simple directions you will have something excellent, and it will be better than what you have." They've never even thought of it. Had tea and toast and tasted good. Raining hard. Tel. Sis to thank her for the flowers. Yet, the very last words are so prophetic: "my chest and back so lame." Doesn't it just kill you? It sure does me. In one of Laurie Colwin's essays, she's talking along and then in parentheses writes: "(I am writing in October before the election of 1992)." She never saw this election. She was gone before the month was up. She never got to see the Halloween, of which she wrote: "No matter what else happens in October, Halloween is still the big deal. ... My daughter likes the same thing, year after year after year, and I must confess that I do, too." Yet, even with the sad fact of her death, it is so worth reading both Home Cooking and More Home Cooking. You will love her voice, her sincerity, her warmth, her humor, her encouragement. She is a joy to read.